The 'changing face' of retirement property and SA's development hotspots 04 Apr 2019 South African retirement developments are experiencing a facelift, with new and modern features. Lifestyles have changed dramatically in terms of how people want to live out their golden years and this has affected how retirement villages are being designed. 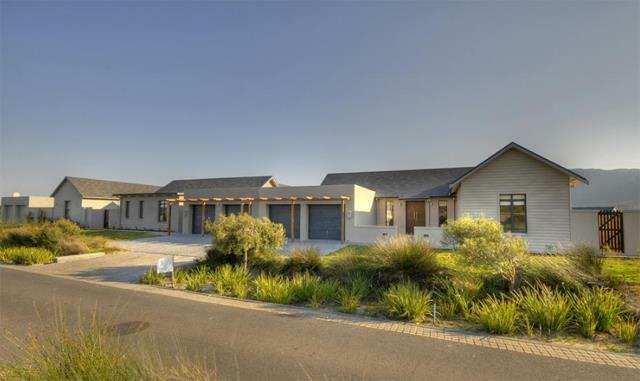 In line with international trends, Lake Michelle eco estate in Noordhoek, Cape Town, offers an upmarket lifestyle within an established community of young families. As the baby boomer generation move into their retirement years, a number of trends are surfacing. These retirees are in no way typical of previous generations, so much so that they have altered the entire retirement industry model. There are a few key trends to watch out for in 2019: people are retiring later yet moving into lifestyle villages earlier, facilities are far more holistic but still retain independence for residents, and there is a rapid development and expansion of villages nationally. Arthur Case, the brand marketing director of Evergreen Lifestyle, developers of retirement communities around South Africa, confirms that a typical 'old-age' home no longer meets the needs of modern retirees. Gone are the days of confined hospital-like retirement villages. Instead, those contemplating retirement want communities that offer a range of amenities and lifestyle activities. "Today, retirees want a varied type of lifestyle that includes travel, cultural and intellectual stimulation along with sporting activities. Many retirees are still working in some capacity so they want to be active and entertained," he explains. Search for retirement property around South Africa In response, multi-generational estates, eco-friendly amenities and lifestyle villages have emerged, centring around a range of activities in a vibrant community setting. "This is a far cry from the clinical setting of the average old-age home that we have known for so many years. Rocking chairs, sewing and daytime television in one communal area have been replaced by wine clubs, walking groups and dancing socials," says Case. Demand drives new retirement village developments Demand is booming so the entire industry is evolving. Nationally, Evergreen Lifestyle has development plans for 5 000 new units to be built over the next three to five years. This surge includes the rapid development of villages within KwaZulu-Natal, with the province being on the map this year as the 'retirement destination of choice' for many South Africans last year, a trend set to continue in 2019. In the province alone, Evergreen is building 750 units in Zimbali, 640 in Umhlanga and 458 in Hilton to meet demand. This is in addition to existing and expanding offerings in the province, including The Amber Property Network in Howick, Garlington Village in Hilton, Palm Lakes Retirement Village and Brettenwood Coastal Estate in Ballito, and Shoreline Sibaya and Mount Edgecombe Retirement Village in Umhlanga, among others. Find retirement homes and developments in KwaZulu-Natal Confidence in this sector is so great that Tongaat Hulett Developments has also invested around R1 billion in retirement investments in the region through its Retire KZN initiative. Case explains that people typically look to downsize a family home when it becomes a burden to maintain. Moving earlier can not only reduce potentially unnecessary costs, but also mean an enhanced quality of life going into your retirement years. "One thing we have noticed in the last year is that people are not only booking space in retirement estates, but actually moving in their 50s and early 60s. They're downsizing their home, potentially drastically reducing their costs, and continuing to work in some capacity for as long as they can," Case adds. Many people are using skills or hobbies they have honed over the years to operate their own small businesses. Others are taking on consulting or freelance work to fund their lifestyle for longer and stretch their retirement savings much further. With modern developments feeling more like long-term holiday homes compared with the clinical-like style of the typical old-age home of the past, Case says they appeal to a younger audience now. This is primarily because these developments offer the benefits of on-the-ground security, 24-hour medical and frail care, restaurants and other lifestyle facilities and activities. Essentially, they offer an independent lifestyle with additional benefits to take care of elderly residents when necessary. As Case says: "Retirement doesn't mean you have to stop living, it's just the next phase in the adventure of life."